We keep this page updated with the latest finds while roaming the web. 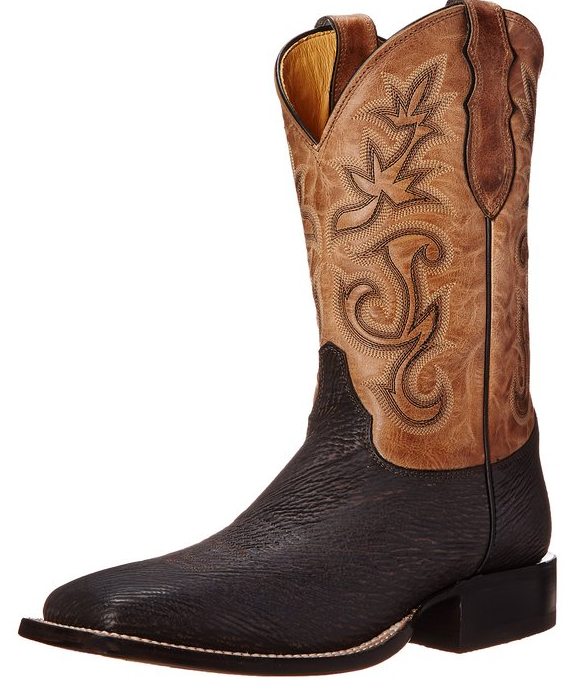 Justin Men’s AQHA Remuda Oiled Shark Boot features an 11-inch cinnamon brown top followed by a dark brown vamp with wide square toe, double stitch welt, walking heel, and leather outsole. 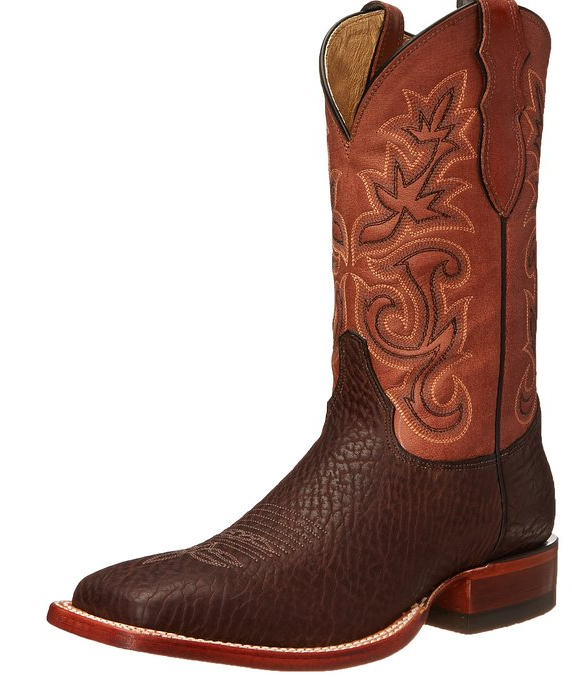 Justin’s exotic leather AQHA collection tops the mark in quality. 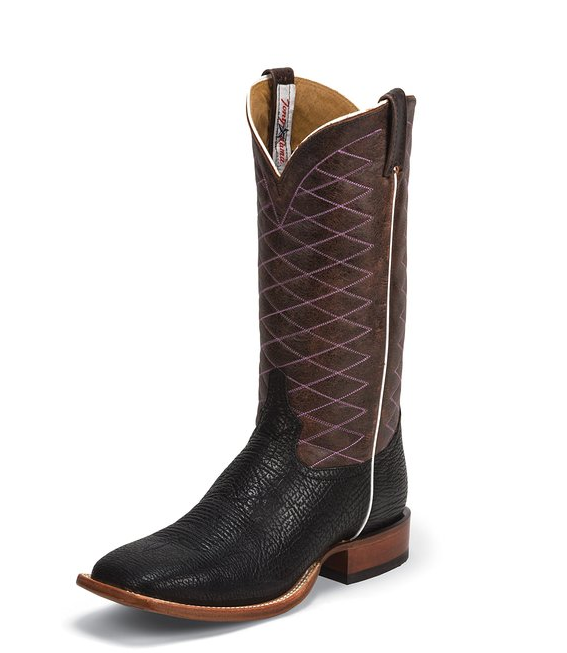 These boots are made of Sharkskin in either an Oiled Sharkskin or NuBuck Sharkskin flavors. Double-stitch welts are standard as well as Justin’s patented J-Flex Comfort System insoles for cushioned all-day wear. Justin AQHA Remuda collection is for the discerning cowboy and proudly made in the USA. Old man Justin way back in 1879 as a boot repairman in Spanish Fort, Texas. It wasn’t long before he was making his own boots and the Legend was born! Another Lucchese sanded shark cowboy boot with a square toe. 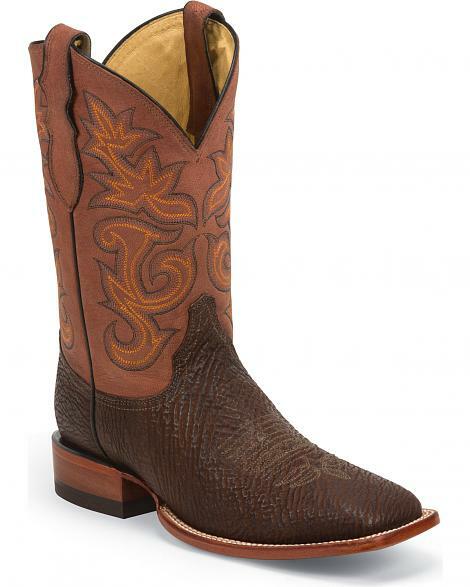 Check out our selection of Men’s exotic leather boots or Women’s exotic leather boots. ©2019 Sharkskin Boots. All Rights Reserved.